After two seasons of “Daredevil” and one of “Jessica Jones,” many wondered—has Marvel Studios overstayed its Netflix welcome? Clearly, the endgame is “The Defenders,” but would the newest series featuring a super hero from the streaming giant keep its audience if it couldn’t match the same tier of quality as the other two series? If the server crash doesn’t answer those questions, nothing will. Following his medium arc on the first season of “Jessica Jones,” Marvel hero for hire Luke Cage received his own thirteen-episode season over the past weekend. Continuing the established dark tone from Marvel’s other Netflix series, “Luke Cage” maintains the adult themes explored in addition to grittier, more graphic content: brutal violence, sexier love scenes, and stronger language. In a world where gun violence and riots seem to never end, Marvel and Netflix present a bulletproof hero in a hoodie from Harlem. Taking a break from the setting of Hell’s Kitchen in “Daredevil” and “Jessica Jones,” “Luke Cage” offers a distinctly new situation. 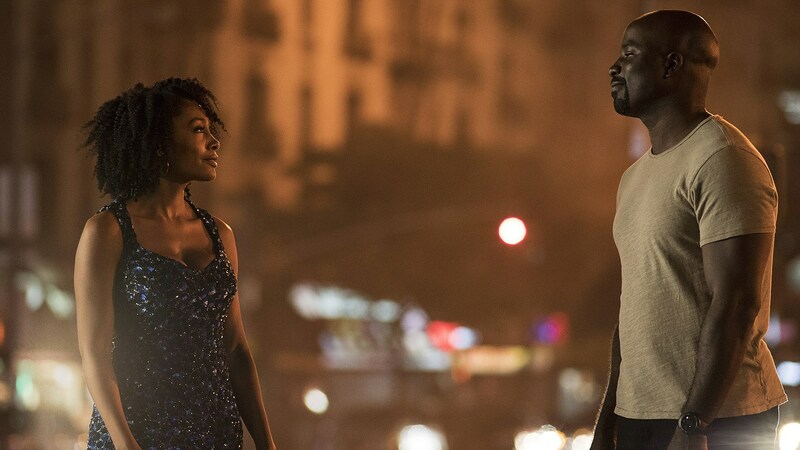 The neighborhoods and businesses of Harlem shape most of the world Luke Cage patrols, but the series isn’t without a brief retreat to Luke’s home state of Georgia. No matter the writer or director, show-runner Cheo Hodari Coker (“Ray Donovan,” “Almost Human”) never fails to incorporate the setting when possible. Montages and action sequences often get paired with a club stage (or even radio station studio) performance by one of many talented acts. It isn’t just the setting of “Luke Cage” that makes it a different flavor than its Marvel/ Netflix counterparts—it’s the dynamite soundtrack that includes Method Man, Raphael Saddiq, Charles Bradley, and many more. Following his involvement in the events of the first season of “Jessica Jones,” Luke Cage (Mike Colter—Men in Black 3, “Ringer”) continues to live under the radar in New York City because he’s technically still on the run from a prison break. No longer tending bar in Hell’s Kitchen, “Power Man” now splits time in Harlem between sweeping hair and washing dishes in a club operated by local crime lord Cornell “Cottonmouth” Stokes. Fully recovered from the incidents of “JJ,” our titular hero stumbles onto to a vast criminal conspiracy while working in Cottonmouth’s club that sets him on a deeply personal journey to clear his name and unravel his past. Colter gives a strong showing for leading his first series, hitting each heroic, triumphant rhythm in a thoughtful, soft-spoken performance. Luke Cage lives in a world where not only do the Avengers exist and defend the world, but they just had a pretty epic donnybrook in Germany over the Sokovia Accords. It’s the same world where the Spirit of Vengeance just began protecting a neighborhood in South Los Angeles. Luckily the greater M.C.U. doesn’t interfere with “Luke Cage,” with the only considerable crossover arriving in the form of actress Rosario Dawson (Alexander, Sin City) as Claire Temple. Dawson’s Temple has appeared in each Marvel/ Netflix property as a nurse lending her talent for healing to injured heroes who need to keep the lowest of profiles. Her presence occurs naturally instead of a contrived reason to simply reference other properties to potentially excite fans. The supporting cast gives dynamic, eclectic performances as each character rises to the occasion in a given scene. Simone Missick (“Wayward Pines”) stands out as Detective Misty Knight. Comic book fans will especially go for this bright, surprising, and uncertain ally of Luke’s, even if the series dropped her canon bionic arm in favor of a near-psychic ability to decipher a crime scene. Theo Rossi (“Sons of Anarchy,” When the Bough Breaks) plays “Shades,” a slithering criminal go-between/ middle man in the organization trying to take Harlem from behind the scenes. Shades shares scenes with every character—slyly smoothing out deals, taunting good guys, and arranging deaths. Frank Whaley (Pulp Fiction, Field of Dreams) has a small arc as Detective Scarfe, Knight’s partner on the force. Street smart and pessimistic, Scarfe cracks wise to throw off the scent of his corruption. Frankie Faison (The Silence of the Lambs, Hannibal) guest stars in a couple episodes as the charismatic, warm “Pops,” a Harlem barber and Luke’s father-in-law. Villain duties fall to three characters over the course of “Luke Cage’s” premiere season. Alfre Woodard (The Core, Love & Basketball) continues her involvement in the M.C.U. beyond Captain America: Civil War, but with a different role, “Mariah Dillard.” Despite her elected position of councilwoman, Dillard works with her cousin, Cottonmouth, to run guns among other illegal activities in Harlem while trying to put the district entirely under her thumb. Mahershala Ali (“House of Cards,” The Curious Case of Benjamin Button) has a large early arc in the season as Cottonmouth, a sharp-dressed, violent club owner and Harlem gangster. Ali’s performance leaves the audience wanting more after his arc closes. Fortunately, Erik LaRay Harvey (“Boardwalk Empire,” “Believe”) takes up the villain mantle for the latter half of the season as Willis “Diamondback” Stryker. Harvey relishes the role of a bible-quoting, weapons-dealing, vengeance-toting comic book villain carrying a sibling complex on par with Ishmael and Isaac. 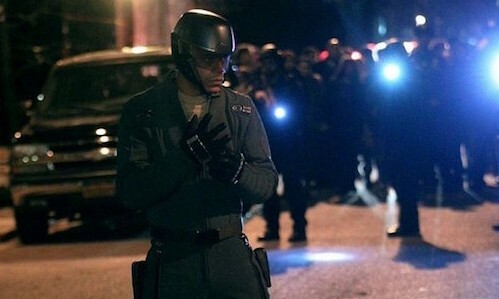 Stryker, unlike Dillard and Cottonmouth, doesn’t have Harlem in his sights—only his personal vendetta with Cage. The series’ weakness rests with the villains. Despite intense, thrilling performances from Woodard, Ali, and Harvey, their direct conflict with Luke Cage treads a predictable path. Ultimately, this is the Marvel Cinematic Universe where the good guy saves the day. The climactic battle between Cage and archenemy Diamondback follows the same Marvel trope of similarly-powered individuals duking it out for the top spot. One area “Jessica Jones” shined was its ability to create a villain completely different from its hero and perhaps the second season of “Luke Cage” will adapt this notion if a “Heroes for Hire” series doesn’t spin out of “The Defenders” first. Following the unwavering premiere of Marvel’s third Defender, Netflix announced “Iron Fist” for a March 17 debut, along with several photos of “The Punisher’s” first day of shooting. “Luke Cage” proves that not only has Marvel’s audience grown on Netflix, but that the comic book goliath has enough creativity to keep making unique series with similar tones that can tie together for an exciting, hotly-anticipated team-up event. Mike Colter leads a talented cast of good guys and bad guys in a series with plenty of musical style to complement its captivating action sequences of Cage’s indestructibility.